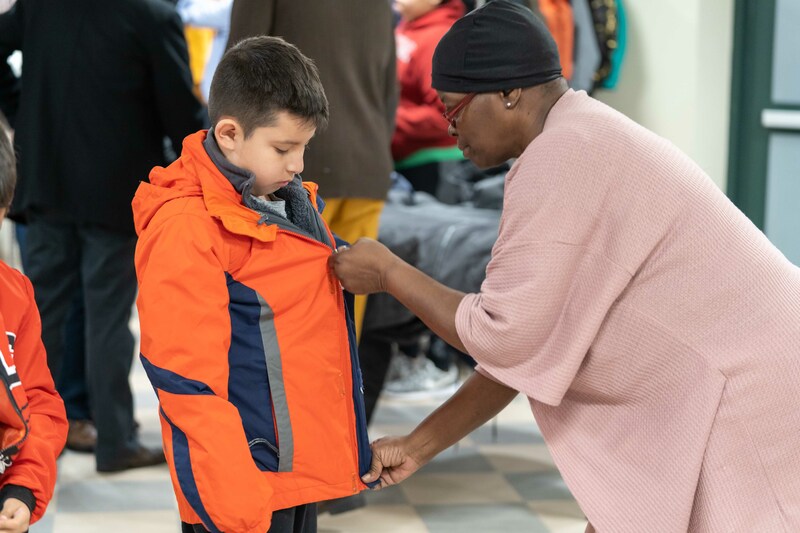 All hands were on deck for New Neighborhoods’ 5th annual Winter Warm-Up, an event dedicated to providing residents with basic winter necessities, on Thursday, December 13th. 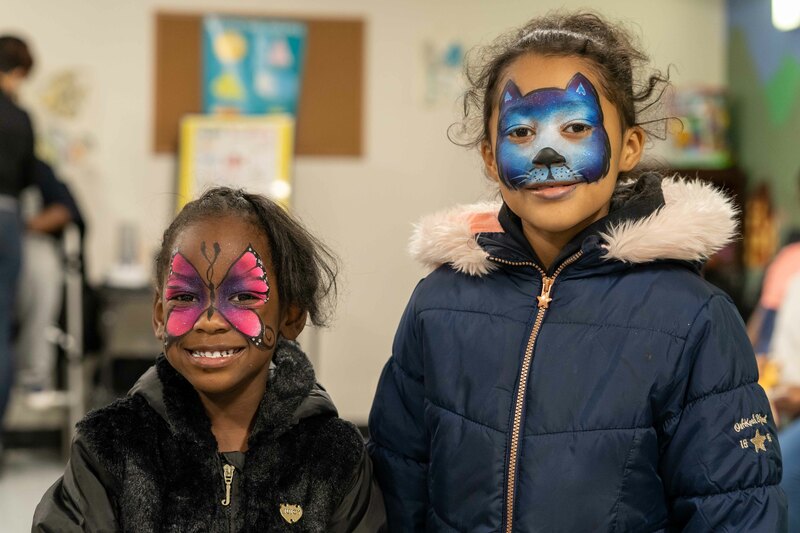 Residents and New Neighborhoods employees gathered at Martin Luther King Jr. Apartments in Stamford, CT where they enjoyed light refreshments and face painting as they picked out new coats. 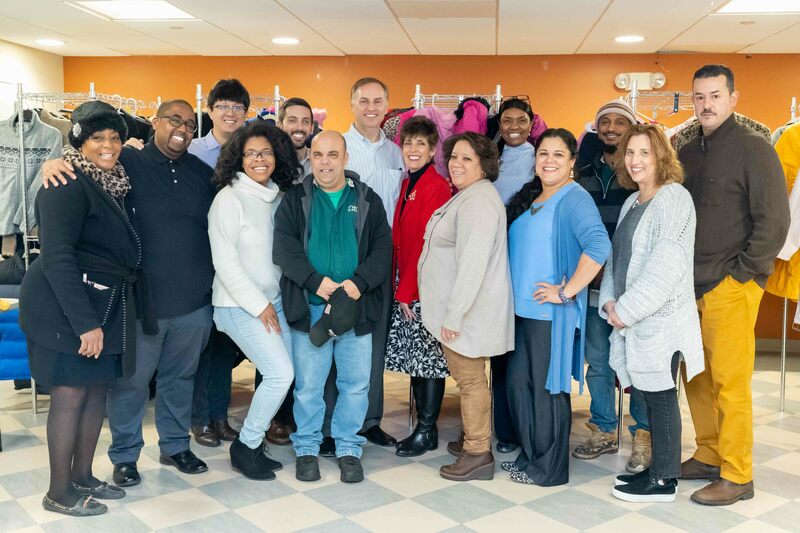 Thanks to various donations, New Neighborhoods was able to supply residents with coats, vests, gloves, scarves, and hats to help prepare them for the chilly months ahead. 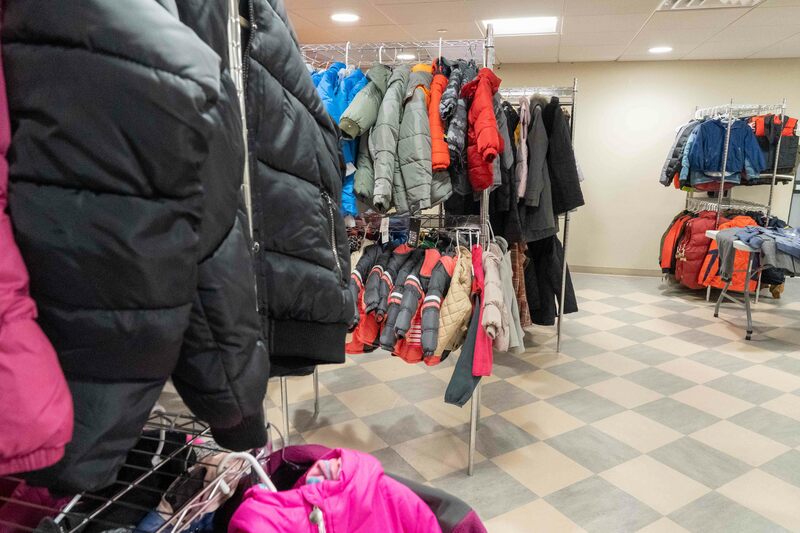 Thanks to dedication of Backyard Humanitarian, we received over 80 coat donations on the day of the event alone. Marilyn Gant was one of the many volunteers helping to spread the holiday joy. A resident of Martin Luther King Jr. Apartments for 23 years, Marilyn understands the needs of her fellow tenants. “This event truly helps a lot of people. There are so many people who need coats and other winter accessories” stated Marilyn.